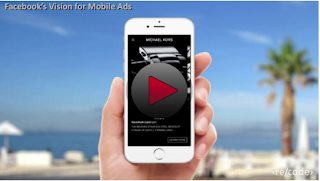 Facebook has shown off a new way to view ads on the social network's mobile platform. The new ad type gives you the ability to view a product in 360 degrees with just the swipe of a finger. Before you say, I don't sell a product... what about experiences, environments, or some crazy visualization of a cat riding a unicorn with rainbows flying out of it's posterior. It's time to get creative with ads once again and hopefully leave the age of clickbait titles behind us.